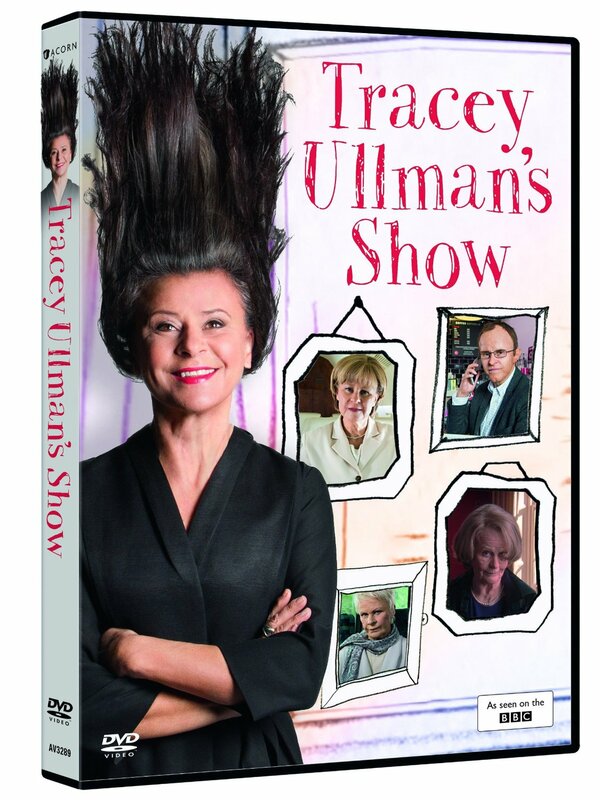 As Boy George might have put it, Tracey Ullman is a comic chameleon. The versatile British-born actress unveils a new gallery of celebrity impersonations and eccentric characters in "Tracey Ullman's State of the Union," a five-week, limited half-hour series premiering Sunday at 10 p.m. on Showtime. This fast-paced new show eschews the extended sketches of Ullman's earlier, Emmy-winning "Tracey Takes On ..." series in favor of short, satiric vignettes built around celebrities such as political blogger Arianna Huffington and actresses Renée Zellweger, Cameron Diaz, Helen Mirren and Judi Dench, along with quirky new creations such as airport security agent Chanel Monticello, Jamaican caregiver Marion Churchill and Tennessee pharmacist Padma Perkesh, who dispenses prescription warnings in the form of Bollywood musical numbers. There are also some gender-bending male turns, including accident-prone soccer star David Beckham, "60 Minutes" curmudgeon Andy Rooney and "The Sopranos" actor Tony Sirico. Ullman, who has bagged seven Emmys in her career, says she had a blast doing these five episodes and hopes Showtime will order more. "I have had so many great experiences playing characters, but I sort of thought I had done that, because it's really quite exhausting," she says. 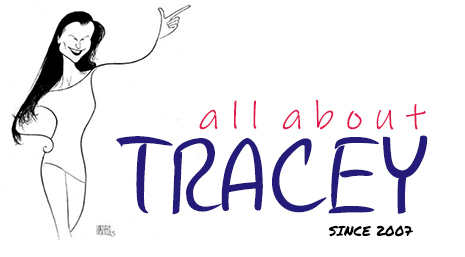 "We did, I think, 80 episodes of 'Tracey Takes On ...,' which was grueling, because it was on film, and there was just one of me. The notion of starting the whole process all over again [made me think], 'Oh, can I do that again?' but I just loved it. "I like impersonating real people, people like Arianna Huffington and [environmentalist] Laurie David and David Beckham ... and I loved the device of using stock footage and being more concise in the pieces instead of 14-minute sketches. It was a lovely format for me." 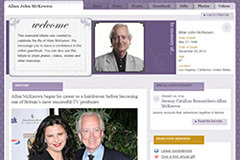 As for her original characters, they're often based on real-life people Ullman has observed, but what initially grabs the actress could be anything from the person's attitude to his or her hairstyle. "I don't know quite what sets me off," says Ullman, who based brassy New Yorker Fern Rosenthal on the mother of a close friend. "When I first came to America, I was just so impressed with people's confidence. When I first went to New York and met the parents of a friend who lived on Long Island, they were just shockingly forward and funny to me. That had a huge impact on me, coming as I did from a country where people are a bit inhibited.... With both Fern Rosenthal and the old makeup artist Ruby Romaine, their hair is based on the people's real hair - American hair!" Dina Lohan, mother of wayward actress Lindsay, probably won't want to TiVo this new series, which skewers her dubious parenting skills pretty mercilessly, but nearly all of Ullman's impersonations and creations are crafted with genuine affection. "Ultimately, I think there is almost always some redeeming quality there," says Ullman, who started impersonating neighbors and teachers during childhood. "The hardest characters for me to play are people that I really don't like, people who are extreme or mean- spirited. "There was a lawyer I played in the 'Takes On ... ' show, Sydney Cross, who was based somewhat on Leslie Abramson, the Menendez brothers' lawyer. She had incredible ambition and guile. I thought, 'You know what? She's just lonely.' I pictured her apartment at home filled with Nautilus equipment that had never been assembled." That gentle and largely respectful undertone may be what has helped Ullman pull off ethnic characters, including working in blackface, without any notable viewer protest. She remembers that she and executive producer James L. Brooks may have been a little nervous the first time they tried it on "The Tracey Ullman Show" two decades ago, but on a show such as "State of the Union," such characters are simply part of the diverse American palette. With her celebrity impersonations, Ullman is by no means timid, but she hopes the real stars enjoy her take on their personalities. She's met Huffington a few times and is aware that the publisher of the online Huffington Post is "thrilled" to be among these characters. "I hope all the people I play take it in good fun, because I just adore Tony Sirico and 'The Sopranos,'" she says. "Obviously I am taking artistic license with their lives a little. I'm not doing 'Saturday Night Live' impersonations with political satire, I'm doing them with my own personality."